Michael was born either in Killashee, or Liverpool in 1888, but later emigrated to the U.S.A. Michael enlisted in the U.S. Army in New York, and achieved the rank of Corporal before being promoted to Sergeant. He travelled to the front on the Cretic from New York on the 6 April 1918; he was killed on 8 October 1918 during the second phase of the Meuse-Argonne Offensive. His cousin William Casey (of the same address) was officially notified of his death. 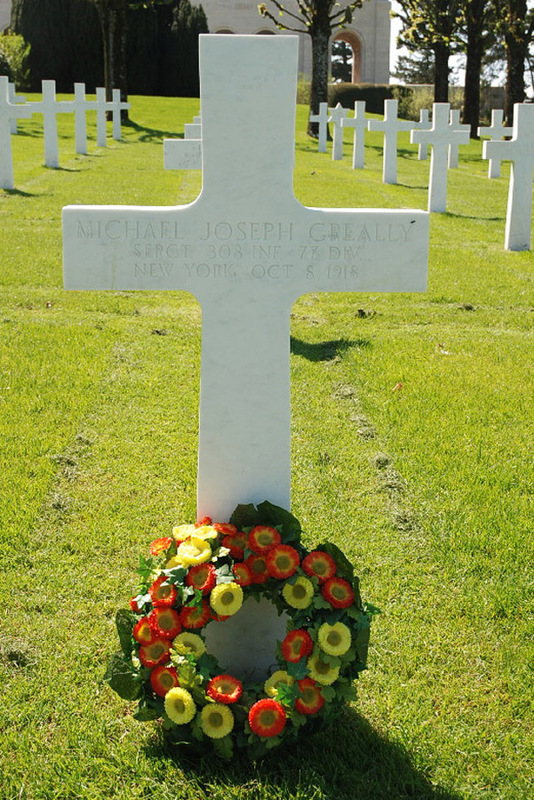 A man believed to be Michael's brother, James Greeley also served in the U.S. Army in WW1 but died a week later while serving in France. Son of Patrick and Elizabeth Greeley, Killashee.